I bet you can do better. 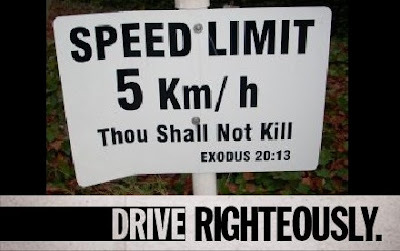 Sad footnote - my workplace has whited out the "Thou Shall Not Kill" part of the speed limit sign. Thou shall kill irony, apparently. At least, I always assumed it was ironic. 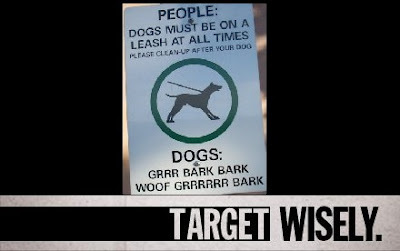 Posted by Diane Kristine Wild at 3:55 p.m.